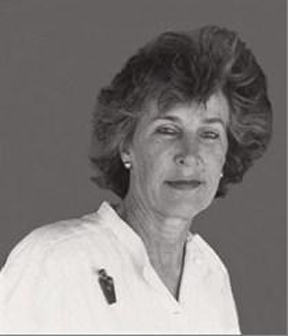 Clarissa Porter (1939–2012), a former NPT board member who passed away in December, was a tireless and passionate advocate for preservation and had a lifelong love of Nantucket and its historic architecture. She served as a member, since its inception, of the NPT Easement Committee, and her diligent work led directly to preservation easements on several properties and raised awareness of NPT and its mission. Clarissa’s house at 5 Quince Street, built circa 1753, was for much of the twentieth century the summer home of Austin Strong, artist and playwright, and his wife, Mary. At Mary Strong’s death in 1968, the house was inherited by Mrs. Strong’s cousin, George Wilson Penny and his wife, Sarah Louise, Clarissa’s parents. In 1999, thanks to Clarissa’s foresight and generosity, it became the first property on the island to have its interior features protected by a preservation restriction. Clarissa continued to maintain and improve the house in ways that assured the preservation of its architectural details and its rich history, and on countless occasions made the house available for meetings and tours so that others could appreciate its place in the island’s history and learn about the easement process. Because they loved 5 Quince Street so much, Clarissa and her husband, Bill, donated the house to the Maria Mitchell Association so that its history and architectural integrity will remain an important part of Nantucket for generations to come.Due to her generosity and passion for historic Nantucket, NPT has named our easement program in her honor. For more information about the Fund or to donate contact Michael May at the NPT office.